All praise and thanks are due to Allah alone, the Creator and Sustainer of the heavens and earth, the Turner of our hearts, and the One who has knowledge of our every heartbeat, breath, thought and action. Ramadan is a blessed month of fasting and devotion, good deeds and charity, and increased communal bonding. In this month, the rewards of good deeds are multiplied even more than usual so we are often exhorted to exert ourselves to reap as much benefit as possible. Ostensibly, this is a good thing. Bedouin: Muhammad, your messenger came to tell us you claim that Allah sent you as a Prophet. Prophet: He has spoken the truth. Bedouin: Who created the heavens? Bedouin: Who created the earth? Bedouin: Who created and raised the mountains? Bedouin: By the one who created the heavens, earth, and raised the mountains, has Allah sent you (as a Prophet)? Bedouin: Your messenger also told us five prayers in the day and night have been made obligatory on us. Bedouin: Your messenger told us charity is due from our wealth. 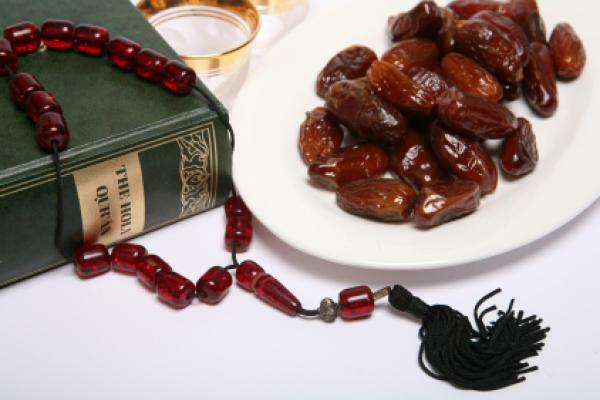 Bedouin: Your messenger told us that fasting in the month of Ramadan has been made obligatory on us. Bedouin: Your messenger told us that a pilgrimage to the Kabah has been made obligatory on the one able to undertake the journey. Before the month of Ramadan, many Muslims make fervent prayers that we be allowed to live to see this blessed month. We make resolutions about how much Quran we will read or how many extra prayers we will pray, or how much will give up of tv, movies, social media, and other distractions. But as the month wears on, our resolve may weaken and we may begin to feel guilty that we weren’t able to achieve our goals. The hadith above gives us hope, Islam is simple, even in doing the bare minimum there is a guarantee from the Prophet of God of a good outcome in the hereafter. Don’t get me wrong, I’m not advocating for being a slacker in Ramadan, on the contrary, I believe in taking Ramadan seriously to reap as much benefit as possible. But along with that level of seriousness must be an element of pragmatism. Not all of us will be able to finish the Quran in this month, or pray every night prayer, or even spend a lot of extra time in devotional acts so give yourself a break and appreciate the blessings in what you are able to do. There’s also hope in the hadith, that “the most beloved of all acts with God are those done most consistently even if they appear small.” Let’s implement this hadith by utilizing this Ramadan to find one deed, which we can do consistently for a lifetime to seek the pleasure of Allah. Can you do it? This Ramadan, I have chosen to emphasize a single small deed, which I am working to build into my daily life so that, God willing, I can continue it throughout the year and I hope throughout my life.